The expanding reach of the Internet and growth of online collaboration tools have all changed small business outsourcing dramatically in the past 3-4 years. Popularized by the best seller The 4-Hour Workweek, more people are realizing that they can get their work done by someone else even if they are a solo entrepreneur. According to statistics published by US Small Business Administration, 56% of US small businesses with 100 employees or less, have fewer than 5 employees. If your business is one with no employees or a very small number of employees, you may find yourself over-stretched for time, and in need of outsourcing in both your personal and professional life. Driven by the economy and the need to watch expenses, more businesses will opt for contracting relationships and hold off hiring new employees as long as possible. Small businesses are also continuing to push the envelope on what can be outsourced. They are discovering elements that can be outsourced even in previously “core” activities. For example, an Australian small business we work with specializes in online marketing, but also uses multiple telemarketing providers to cross sell their product range to customers. Re-examine what you consider to be activities only you or your employees can do. If not the entire activity, can some parts of this at least be outsourced? 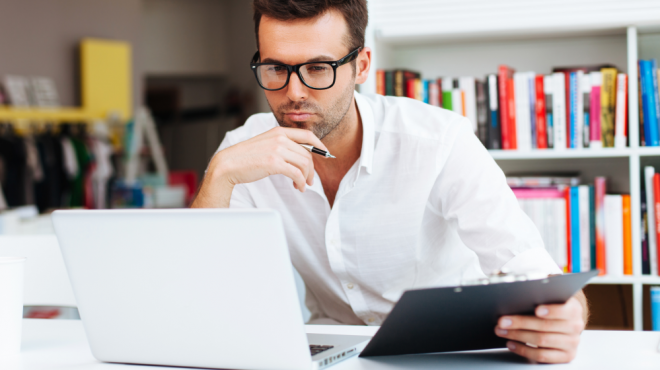 Be prepared to invest some time up front in training your outsourcing partner. 2. Have we met? Not likely! Trusting people you never meet face to face is gaining acceptance. Use of Skype conversations and social networks like Facebook and Twitter exemplify how people who have never met strike up relationships with each other. These media are increasingly becoming the means for small businesses to reach out and establish trust based relationships with their outsourcing partners. A decade ago you may never have thought of outsourcing to someone outside of your local city or region. Now it is commonplace to find vendors and independent contractors across the country or even across the world. If you are a vendor, establish a presence on the networking sites of your choice – LinkedIn, Facebook, Twitter etc. to create an online brand presence. Make it easy to be found and for customers to get to know you. Evaluate which mode of communication gives you the best results. Also take into consideration where your customers are located and how they prefer to be contacted. Sign up with Skype, or other email and Internet marketing tools. Payment schedules structured to incentivize success are gaining popularity. Two common types of payment methods are “Fixed Price” (where the vendor takes much of the risk – this is often highly conflict prone) and “Time and Materials” (this gives the vendor flexibility in defining scope but is expensive and asks the buyer to micro-manage). We’re seeing pricing structures that combine the best of both. For example, web page design will be fixed at a price per page. Subsequent changes requested by the buyer are paid for using an hourly rate for the effort. The combination pricing can save the buyer as much as 30% of the total cost and avoid conflicts. It also aligns interests of the buyer and the vendor. Split your project into 2 parts: the part that is well defined and unlikely to change, and the part that needs to change as you see results of each phase. “Fix Price” the well defined part, while agreeing upon an hourly rate for the rest. Operational structures that clearly define responsibilities and establishing ways of communicating play an ever more important role in successful outsourcing. Small businesses are realizing the importance of such rigor in defining operational structures. For instance, you might establish a regular review schedule to effectively manage a project and stay on top of progress. This is preferred over putting a project out for hire and then going weeks without any status update. Email, instant messaging and collaboration technologies make it easier to conduct frequent reviews. When you outsource a project, establish a routine of daily or weekly status review calls based on project size. The duration of the calls again depends on the nature of your project, but typically 1 hour or less works best. This is important especially when you are working with a new provider. Small businesses are opening up to outsourcing ongoing processes, in addition to projects. Task (or project) outsourcing (e.g., file my taxes) is primarily a one-off activity while process outsourcing (e.g., manage my accounting) requires a relationship approach. Process outsourcing also places greater responsibility on the vendor to become closely familiar with the client’s business and the client’s customers. For the projects you are outsourcing, see if some of the activities you do before and after the project can also be done by your outsourcing partner. When outsourcing processes, evaluate providers for a strong understanding of the legal and regulatory issues associated with the process they would manage. Both clients and service providers are building the skills needed to successfully execute geographically distributed projects. Small businesses are getting more comfortable with working remotely with the most skilled professionals, irrespective of where they are located. The ability to break a process into components that can be done by different individuals, but designed to all fit together for the end result, is a complex skill that is increasingly valued. When outsourcing a project focus more on who can get the job done best. If other factors like location, cultural affinity, time difference etc. are concerns for you, share them with your outsourcing partner. Discuss how the risks that come with these factors can be mitigated and find a solution that both parties feel is fair to them. Tools like Basecamp, Zoho and Google Docs enable collaboration across continents cheaply. You no longer have to worry as much about whether the client or the service provider have the same software applications installed, and in what form you are going to deliver work. Online apps that are universally available make exchanges of information, project updates and deliverables easy and seamless. PayPal has changed the face of payment. PayPal is available in 190 markets and 18 currencies around the world. Small businesses are using PayPal to invoice, make and receive payments. Skype, an Internet based telecommunications and messaging system, likewise has made telephone conversations and quick message exchanges easy and inexpensive to do. 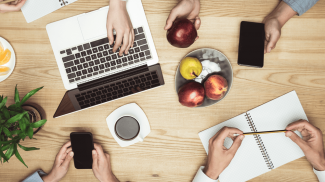 Decide what collaboration tools you need, and pick the one that best fits your needs, and does not confuse you with too many bells and whistles. Coach your outsourcing partner on how to use the tool most effectively, if required. Services that are critical and complex like legal services, management accounting, and employment training are being increasingly outsourced globally. In part this is due to point #2 above, where we are increasingly becoming more comfortable dealing across the web with people we have never met. This trend will require providers, too, to become more skilled and efficient in handling greater complexity. 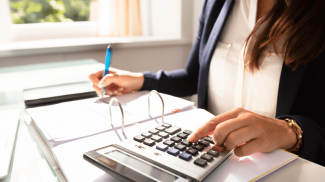 Take a second look at specialized services that are the most expensive in your business — these are areas you might consider outsourcing. Start small, and send out chunks of it to lower cost providers who can do the simpler components of the task for less. Expand the relationship as both sides become more confident in handling the additional complexity. 9. Offshore or Homeshore? The choice is yours! Small businesses are maturing to look at a variety of factors before making the outsourcing decision. Tasks that require presence in the same time zone and a cultural awareness are being Homeshored. Tasks that are not time sensitive or heavily influenced by culture are being Offshored. Evaluate if your outsourcing partners can train themselves on some of the cultural aspects if they belong to a different geography. Offshore only those tasks that are well defined. For tasks that need your input several times a day, choose a provider who can work in your own time zone. 10. Just tell me when it is done! Small businesses appreciate vendors who can support them through the project execution process. Small businesses are increasingly realizing that bringing clarity to tasks, defining milestones and timelines, tracking progress etc. play a pivotal role in project success. We’re seeing the emergence of more agencies and firms that place outsourced talent and handle all the overhead for the client. These services are increasingly sought and valued by small businesses. Almost every client we have tells us that the service we provide in managing their outsourcing is what they value most. Evaluate how much time you and your employees are ending up spending on finding providers and on assigning and tracking their tasks. This could be another service you could outsource to an outside agency. Look for strong communication skills and experience in setting up processes that produce results. What are the trends you are seeing in your own business and in businesses around you when it comes to outsourcing? About the Author: Amit Mullerpattan is VP (Product) at www.p2w2.com. Amit is responsible for the user experience with the p2w2 product and services. He also contributes to the p2w2 blog. P2w2 helps small businesses outsource a variety of services to achieve their business goals. These are excellent insights, and I really like how you included the “how to benefit from this trend” tips under each trend. What is P2w2 standing for? Is it a similar acronym like B2B (business to business)? Hi Amit, I’m with Anita — welcome to the party! Your post is very practical with the “How to benefit” part. I read 4 Hour Workweek and loved it. If only for the mind-freeing exercise of thinking about hiring an assistant to help me spend more time selling and less time tracking. Went to your site. Well done. “People to Work With” is what it stands for Martin. Also read your blog post — I like Compete.com over Spyfu for getting an idea about my market and the traction one site has over another. How do you position yourself alongside the Guru and eLance’s of the world? I like the interface and energy on the opening pages. I like the practical “how to” also. Are you seeing certain functions of a business growing in popularity to be outsourced. For example there seems to be more and more companies offering to be Virtual Assistants than even a couple of years ago. Another expert that I will be constantly looking up to. Welcome Amit. The tips you shared are very helpful especially the How TOs. Congrats on becoming an expert on this forum! Nice article! Small businesses have traditionally been very open to outsourcing and have been taking advantage of others’ skills for their growth. This article is a good compilation of ongoing trends in this market. Hi Anita – thank you for the opportunity to write for SmallBizTrends and for the very warm welcome! Hi TJ – Thank you very much for your comments, tips and feedback! p2w2 supports & advises clients through the vendor selection and project execution process. We are different from the “do it yourself” model of freelancing sites. At p2w2 we bring the same rigor and attention a large corporate would get, towards ensuring success of an outsourced project for a small business. Hi Susan – Speaking of specific functions, Internet and Search Engine based Marketing is another area seeing considerable growth in outsourcing. Hi Rose – thank you for your comments. I am glad you liked the tips. Hi Amit – WONDERFUL post. The trends you mention are really helpful. I’m familiar with some of the resources – and others are new. Outsourcing can be a wonderful option. What people really need to look at – and you mention repeatedly – is the total cost involved in doing so. What may seem less expensive on paper, may actually end up costing more. 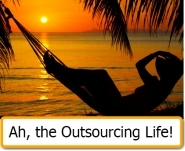 The “Outsourcing Life” is hip — Indeed, it is! What’s even better with this is that entrepreneurs who outsourced are a big help in creating jobs. I believe in and agree with outsourcing what is NOT one’s core competencies. Yes, training is a time investment. However, for outsourcing to be cost-efficient, it almost always has to move outside one’s country into a country where the cost of labor is more affordable. And although I believe in spreading the wealth, in these times of economic sluggishness and high unemployment, outsourcing (outside one’s country) is not desirable from a socially responsible point of view. On a profit point of view, yes it is. However, there is a sweet spot between bottom line and responsibility. This is backed by the trend in sourcing locally and proposed tax structures for sourcing locally. Yes to outsourcing, local outsourcing. Hi Ivana – thank you for your very encouraging comment. I have read your articles here at Small Business Trends and have learnt a lot from them. Hi Amanda – thank your for your comment. I am glad you liked the post. I look forward too to be an active member of this fantastic community. Hi Mark – I completely agree that outsourcing should be only for non core activities. Outsourcing need not necessarily mean offshoring. As Ivana mentions in her comment, it is imperative the **total** cost is taken into consideration. This includes all costs from training, communication, productivity differences etc. A low “sticker price” need not necessarily mean overall better profitability, unless all factors have been considered. This is a succinct and insightful article – it provides the key concepts in an organized and helpful way and will be very helpful to a spectrum of small businesses who want to amplify their effectiveness. Nice post..a good insight to outsourcing world and very useful for small business and startups!! Nice1..consist of keen insight into the trendz of outsourcing and is also very informative…great work amit !!! Thanks for this wonderful post Amit. With the recession stretching its “gains” it’s becoming difficult for the small businesses to survive. We have a startup – http://www.indulekha.mobi which provides sms service to the customers. We are finding it difficult to market it during this tough times and we dont have efficient marketing force to do it either. Do you think we can find a service provider who can extend their service on a time and material basis so that we can outsource our marketing? Thanks for your suggestions. Anil, Surabhi, Sushanth – thanks so much for your comments. @ TransFS – Yes, crowdsourcing is an interesting trend too! Thanks for bringing that up. Mitchell Baker of Mozilla talks about how Firefox was built by the open source community her podcast at ecorner.stanford.edu. Congrats. Very well written article. Good insights. In these recessionary times it comes with a glimmer of home. Very interesting article, Amit. This article would be very useful at this time, when many are opting for online business due to the present economic crisis. Good job. I know you have successfully handled large outsourcing engagements but it is nice to see how you have summarized your years of experience so succintly in this article. I like your mantra on outsourcing success – COMMUNICATION. The ten tips are a perfect draw in for people to get exposed to the wonderful life that can happen when people find ways to work less while still making more money through outsourcing partnerships. I am totally immersed in this outsourcing world and liberating the small business owner with 5 employees or less (solo-entrepreneurs mostly), and helping them see how outsourcing, especially in a depressed worldwide economy helps everyone. I know lots of people say…”keep the jobs at home and people will spend more” but I look at the system globally, not just in the USA. A well researched article and highly useful insights!!! I liked the way you talked about the trends and then highlighted the benefits. As you rightly mentioned the mantra is ‘communication’ indeed. Wishing you the very best!!! Nice post. Good to see all major issues being pooled together in one post. Could not have been summed up better! Hi Priyanka, Amitava, Indu, Vinay – thanks so much for reading the article and for your comments. Hi Sachin, Sharon – Thanks for your comments! The downturn makes it even more essential for survival to explore every means necessary to be profitable, while getting your products and services to market quickly. HI Jeff – Thanks for adding a global perspective to the situation. Economies now are more interlinked than ever before! I am working on a web based start up and have been considering outsourcing. Communication has quite a bit of overhead. Shortcomings therein would require more back and forth and lost time and money. This is especially true when project scopes change. For what size and kind of tasks is it beneficial to go for outsourcing? Also, a concern of leaking confidential information and/or our competitive advantage limits what we can share with the other party. Thank you so much to advice me about your new article. It was very helpful to learn so much about the outsourcing services, which was very helpful for my organization too. I also enjoyed reading your article, it is very informative. Based on what I learned from reading your article, and from what I had going through, I think it’s very useful approach to any business small or large. Wish you all the best and great success. Very nice and useful article. I would like to know about the kind of contract you have with the outsourcing partner. When they leave the task unexpectedly how will you ensure that the knowledge transfer happens? Because by the time you may not be ready with a new partner. Do you manage all this by documenting? If so, will that be sufficient? Hi Rohit – Thanks for your comment. A “catch all” thumb rule for what size/kind of tasks can be outsourced is probably hard to lay down. It depends on the type of task/project and maturity of both the client and service provider. Trends 3 & 9 address scope changes and other factors. There is a risk in delaying launch by trying to do everything on your own too! The “core” activities that you retain in house will be the ones that matter most. Overall, the success of your business depends a lot more on factors unique to you, like access to customers, and understanding of their needs, than someone being able to “clone” some aspects of it. Dear Abdullah – thank you very much for taking the time to read the article and for your comments. I am glad we at p2w2 were of help to you and your business. hi amit…its good article. 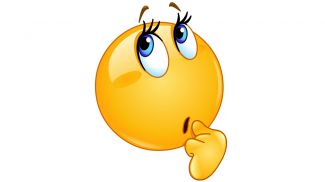 deep insight abot outsourcing…. its a real epitome of excellence! I ran across an interesting article titled “Talk Is Cheap” reviewing top VoIP programs at DealDogs.net. This is the article link here to read a description and see videos about top webchat programs. A very well written article and provides practical advice on how to benefits from outsourcing trends. Some of the trends you mention like communication, collaboration and taking relationships to the next level are seen amongst larger businesses as well. Comprehensive, Insightful and Practical is how would I call it. Also, it very well highlights the role of both the parties (outsourcer and vendor) to make outsourcing a success !! Very insightful article. It explains outsourcing really well. Many Thanks for sharing these brilliant insights, Amit. Your how-tos are just awesome. I agree to your point Amit. It is high time that this trend gets followed for better success in our work. Great article to read.. Keep it up!!! thanks for this article. Can you tell us, point us to practical ways a small business owner can benefit from these trends in a geographically dispersed scenario? I want to know, how does a small businessman / industrialist, in say Cleveland, USA or Melbourne, Australia benefit from Outsourcing using the Internet as a medium? Wonderful article Amit. Thanks a lot. Outsourcing has become one of the important thing for small firms to survive. Thanks for the excellent article Amit. Thanks a lot for the wonderful article Amit. During such a worse recession times, the small businesses who outsource their non core activities emerge victorious. Everything is outsourced these days.. Mutually beneficial.. Countries like US, Aus, UK, etc hire talent from developing nation such as India, China etc. for a much lesser price .. These counties get more than they expect!! :)..
About the social networking.. This is growing into major business marketing tool! Hi Rakesh, Muzaffar, Pankaj, Peeyush, Anand, Rina – thanks a lot for reading the article and leaving comments. Hi Bharat – I agree. Communication, collaboration and taking relationships to the next level, are all present amongst large business outsourcing too, and at a higher level of maturity. Good insights into how outsourcing has evolved from being the purview of large organizations for low complexity/high scale processes into something small businesses can benefit from. I have a contention about #6 above (jigsaw puzzle outsourcing). As the model evolves, will the successful service providers be those specialised in very specific offerings? I’m thinking of a scenario where a small business that needs a host of services (from tax planning to web content development). Over time, as the outsourcing relationships proiferate, the task of managing its relationship with multiple vendors might reduce the utility of the exercise. My take is that the opeating model of the near future will entail ‘aggregators’ who, given any process/task, offer the ability to source the right kind of talent, across the globe. Other than the cost/time saving angle to it – small businesses can benefit by strategic outsourcing of some tasks – which are simply better done by specialists than the SMBs themselves. Moreover, certain tasks which require fixed costs or capital outlays from SMBs, are better off being outsourced to others who have already incurred the cost and would be able to spread it out across multiple assignments from outsourcing project providers. The article is definitely the way the global business will move in future. Though seemingly straight forward for IT based services, the outsourcing business poses unresolved challenges in research, energy, and bio areas. With next millenia focused on clean technology, bio and energy based services, it is vital to develop an outsourcing framework that encompasses all these areas. Hi Aakash – thanks for sharing your perspective. Internet had enabled collaboration across geographies, and thus gives the businesses you mention access to a global talent pool. They can now find the skills they lack in house, but desperately need, anywhere in the world! Hi Devika, Faraz, Mrinalini, Akshay – thanks so much for your comments. Hi Anoop – I share your thoughts. The “aggregator” role is likely to be part of Trend # 10. Hi Shameek – interesting perspective! Thanks! Hi Ankur – Thanks for adding a new dimension to the discussion. It will be interesting to see how new energy technologies can be brought to market with the right blend of outsourcing. Interesting..gave some points to thinks to think through..
A well-written piece highlighting key take-aways from each trend. Keep it up! Loved the article for its comprehensive coverage of issues with a 360 degree perspective. Extremely useful and worth saving as a reference manual to meet changing needs in the long term. Would like to have you talk about your take on how much of the US offshoring market (in general)will be affected by the current ‘Outsource and Lose Tax Benefits’ dictum. Good, well-written and comprehensive article. Paints a picture of times that hopefully, we shall all see pretty soon – small businesses being able to get their work done at extremely competitive rates with the highest quality and individuals being able to juggle their time as per their convenience – holds a lot of promise. Very insightful and well-written article. I read couple of underlying themes in your article 1) Small scale outsourcing enabled by improved technology and global experience in outsourcing 2) Importance of an efficient marketplace that allows vendors to reduce cost of client acquisition and monetize reputation. I believe both of these are very critical for startups of both kinds – the kind that are not in the business of outsourcing but have outsourcing needs, and the kind who are in the business of serving the outsourcing needs of other startups. These are even more critical for small projects, as the overhead time and cost spent in vendor identification, negotiation and management can be a sizeable percentage of the total time and cost of the project itself. Any organization that recognizes these trends will definitely realize more out of these industry trends, no matter which side of the fence it lies on. Congratlations! For sure this is a very practical article. Being into small business myself I can adjudge the utility of outsurcing. However such effective and communicative vendors are still not very affordable for the small business today. Its good that the utility of outsourcing for the SME market is being recognized by service providers. Great article and very practical approaches. I had a question, since there are so many business gaining online presence, is there a website where the authenticity and credibility of all these businesses can be verified? This was very relevant and valuable. I could use this as a checklist in the future! Thanks! Your article is a concise ready reckoner for small businesses to increase efficiencies and reduce overheads. Many of the brick & mortar small businesses in India (including some of our portfolio companies) have started using some of these concepts. This is more so important for the family owned small businesses which are widespread in India. Keep up the good work. Succinct summary of some plain home-truths, nicely captured! Some food for thought: the article appears to provide a very Western-hemispherical perspective. There are a lot of small businesses in emerging economies as well, and it would be interesting to learn how these tenets apply in such cases; for e.g. in Japan or in some other Asian contexts, I would find it strange if outsourcers part with projects till they see a potential vendor face-to-face. Amit, thank you for this article. We are just getting started ourselves and very much need this kind of guidance. Heading off to check out your site now! Hi, Amit. I like your post. It’s great! The information you provide is really very useful and I am hiring a VA now for my company. She is from BPOVIA. It is said that this company is the only virtual assistant service provider ever been nominated for “Red Herring 100 Asia” Awards 2008. An instant live collaboration used to quickly show documents to friends and colleagues. This was an incredibly helpful post. There really are so many possibilities when it comes to outsourcing. It was great to read up on some. It is quite amazing how things have changed since just a few decades ago, when it comes to doing business with people that you haven’t met face-to-face. I really liked your points about jigsaw puzzle outsourcing and pushing the boundaries of complexity. The internet has provided so many opportunities for outsourcing that wouldn’t be possible before – I use a company (http://www.digitallizard.com/small-medium-business.php) that provides a customized portal for me to order documents that I need printing, that my outsourcing networks can also access. I believe this post should be tweeted as this is a good resource for SMEs. In order to outsource my advertising I used a third party web agency such as http://www.adwido.com. They let me put up my commercial on their site for free. If nothing else it helps with exposure and traffic to my site. Thanks for the insightful article. The recession is pushing companies to be leaner and meaner, and outsourcing and offshoring are means to that end. And technologies out there, especially online collaboration and conferencing, are making it a lot easier to outsource and work with external teams. Thanks for the articles, this is great. These tips are big help for small businesses. Hi there. I’m new here. Very interesting article. good thing I stumbled upon your site. Thanks for sharing your insight. Outsourcing can be a best option for business to maintain competency without compromising a lot of money and time as well. There is just a lot of advantage to it. Good work. I have dual roles related to outsourcing – I own an Online Marketing consultancy (See http://www.agent-cy.com) and outsource some work and I also act as a consultant and am hired as a freelancer. I went to your site. I am very familiar with your competitors and noticed that your site was not yet developed and lacked content. What are your plans for the site as both myself and my clients would be interested in working with you? Nice article, for me outsourcing is really a great alternative, and small business outsourcing company are great help for small start and up business. The primary message here is that outsourcing is here to stay and it should be something you entertain for your business. Concentrate on the key aspects of your small business, where customers find value, and outsource other business functions to outside experts. If you monitor vendors carefully and focus on efficiency, you’ll be positioned for rapid growth and success. Nice article indeed. Interesting and valuable. Thanks for this post. I think I can use a tip or two. In my experience, outsourcing is like playing a game of poker. You must have the right cards to win the game and this can come in the form of trust and communication. You can’t work successfully with someone you don’t trust or someone who doesn’t clearly understand your goals. The trend nowadays is competition on a global scale and there’s free access to a wide pool of talents not accessible before. Dear Amit, this article has really inspired me to go forward with my idea of starting an accounting outsourcing firm with a focus on small and medium enterprises for the start. Could u guide me, about the specific needs accruing to this sector? what should i be primarily focusing on in order to serve then better? Id like you to have a look at our brochure, is it possible that I mail you a copy? I want to do outsourcing for the companies who are based either in others states of India or outside India and want to increase their sales in India. I would represent these company in India and like to sell their brands. I have a plan to start with myself and my friend, both of us are mechanical engineers. Can you give your advise or some suggestions on it. Nicely written article Amit. With the distressed economy that we’re in outsourcing is usually the most cost effective way of fulfilling tasks to their full potential. It’s better that attempting to do things in-house when you know it’s going to be mediocre in comparison. Really nicely written Amit. Lot of customers have a big expectations but also think that outsourcing means “we dont care anymore, because we pay”. Reality is, that only lot of communication and cooperation between client and outsourcing company can make it meaningful. A very interesting read. How do you find the right outsourcing company especially when you are moving into a new territory or breaking new grounds. I hired a VA and tried working with her, but it ended up taking more time out of my day telling her what to do than doing it myself. Have you ever had this problem? Maybe it was just her (or my directions?) but it didn’t work out well. Still think the value in productivity would be wonderful if another VA and I mesh better together.